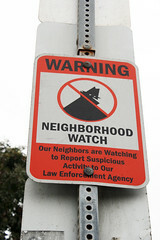 I live near the corner of 17th and Shelton, which is more Mid-Beacon, and know that there are several people in my neighborhood that organize formal and informal block watch activity in the area surrounding my house. Sorry, but I don’t know about any farther North. It might be worth trying to contact the people who run the Beacon Watch blog (link in the right hand nav, though it doesn’t appear to have been posted on since late 2010). Beacon Watch used to have a pretty active mailing list, but either it’s gone away or I’m not receiving the mails for some reason. Having been through a car theft, two burglaries, and two car prowls (only counting the ones with broken windows, not the ones from after we deliberately stopped locking the doors on the old truck) in the last ten years, I’d be interested in seeing a reinvigorated block watch. Tyler, who are the people who organize for mid-Beacon? Can I get info anywhere? I’m right by the library and would like to get involved. There is a block watch on N. Beacon Hill originating from 18th Ave S. near Horton/Hinds/Spokane. I used to live there and still get emails from the group as it’s close enough to where I live now that I like to keep an eye on the list and on happenings in the area. The list is a Google group called Beacon Hill Block Watch. You can search for it in Google Groups. all the google beacon hill block watch searches come to this site. The police contact for this is Mark Solomon. Here is a link for his info. Tyler, Brook, Tess, Jessie: I wouldn’t mind contacting Mark Solomon our Beacon Hill block watch contact at SPD. Perhaps we can meet with him at the library and be brought up to speed on current Hill block watches and needs. I learned from a previous conversation with him that he has a lot of materials and tips to share plus he’s connected to all existing block watches in our area. FYI, W. Seattle is very organized and even has a W Seattle block watch Captains Network. It’s really quite cool. > know if you want to get something scheduled. So, if you folks are up to it I’ll make the contact. Let me know if Wednesday May 11th might be a good target. I’m very pleased to see your responses here. Thanks for your interest.